Each supernatural has their own frame color (like the vampires do) so you see what creatures call themselves your friends and enemies. Fairies existing in all shapes – thin or fat, toddler or elders, all of them have beautiful wings in different shapes and colors. 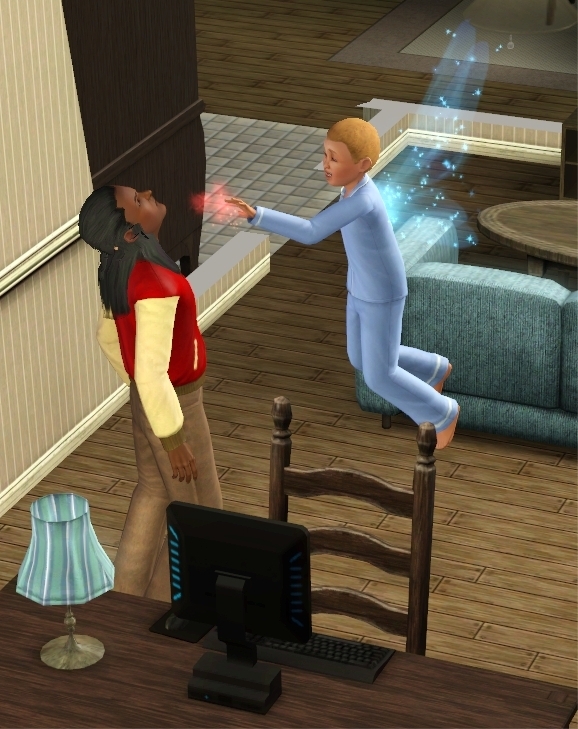 Even children can play tricks on other Sims or show off their flying skills. Fairies can walk normally but sometimes they hover above ground. 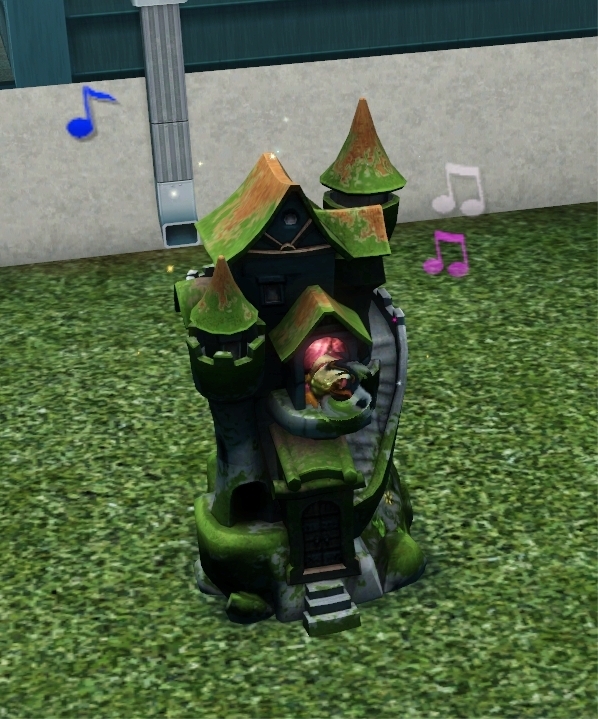 They can live in small fairy houses that exist in to variations and that can be found on many community lots throughout town. They have different interactions on the house, can eat and sleep there and even throw a party (which they then celebrate all alone although I didn’t try if another fairy can join. Fairies, like witches, have spell power which is reduced with every spell they cast. It can be regenerated by sleeping or with an special elixir. Every witch starts out small and needs to practice her magic until she can duel other witches. One of the first spells they learn is to summon an apple and then to poison it. 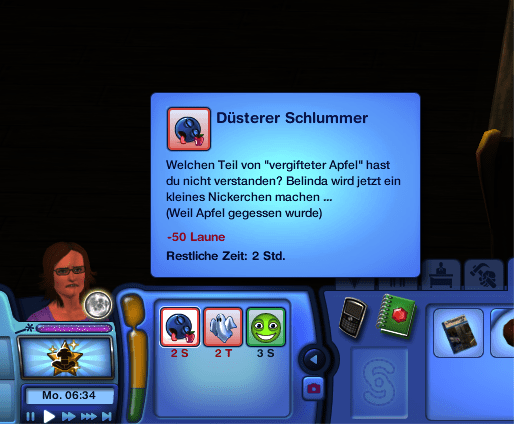 Eating a poison apples have the side effect to become very very tired and therefore my Sims idea to eat the apple herself, wasn’t her best move. When she later lost a duel against her sister and was less beautiful afterwards, her day was ruined. 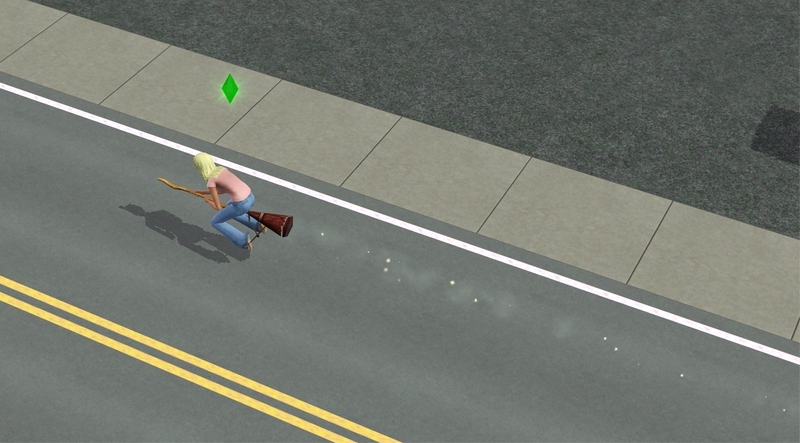 Witches ride on their brooms through town but doing so they are confined to streets and the witch arena. 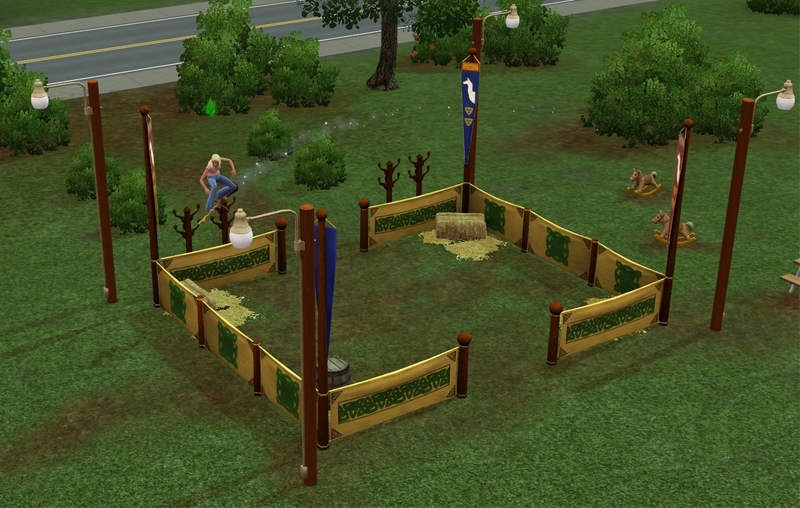 In the witch arena they can do stunts or ride around the arena. They can even do stunts for tips. 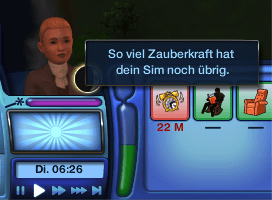 While they get better and better they can transform stuff into different stuff (you can’t choose though what you want) or bewitch other Sims. 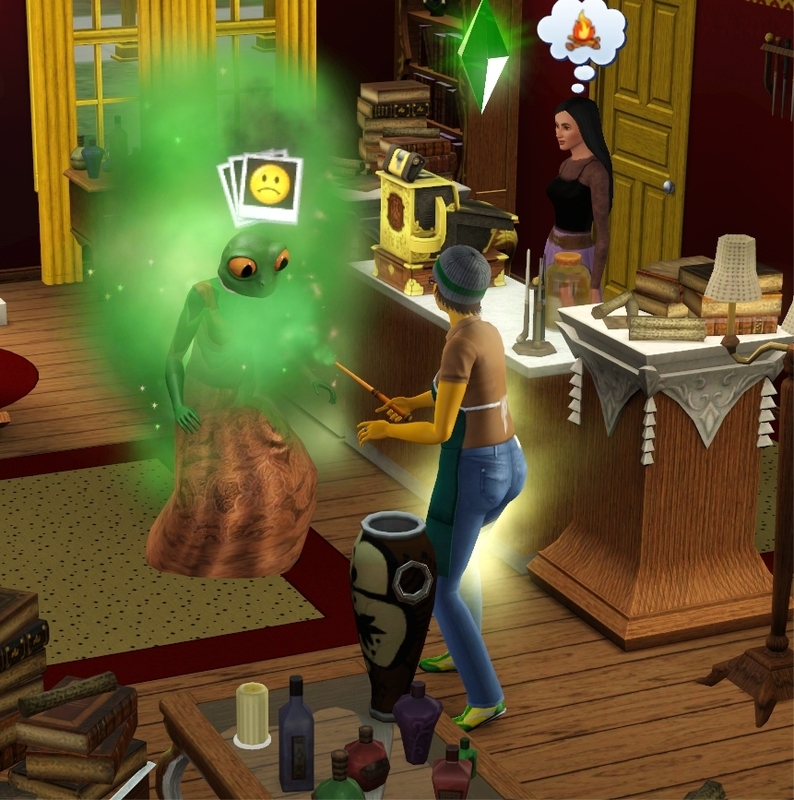 Next to tons of spells to make other Sims life miserable by ruining their needs they can summon a ghost (an existing one) or turn the sim into a toad. Witches come with a broom and a magic wand – basic ones. You can buy better and faster ones. For the broom you will also need a ‘parking space’ – a broom hanger. 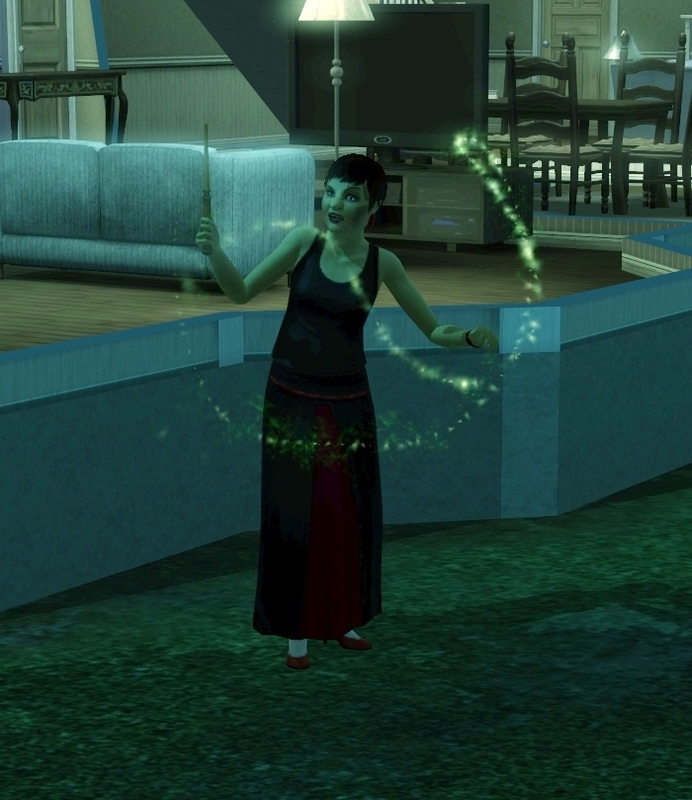 Witches are one of the few sims that can interact with zombies. Toads aren’t really supernaturals. 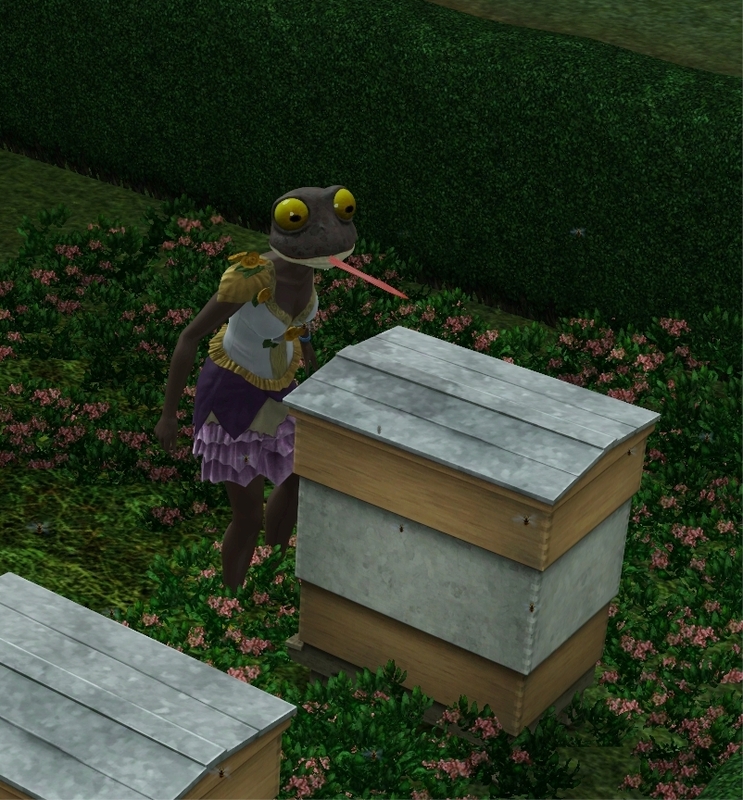 You can’t make them in CAS but most Sims (not possible on zombies) can be transformed into a toad by the witch. Toads seem to love bees and one of the gurus said that if you want to keep them – don’t kiss. 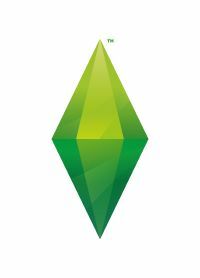 If you can play with toads (I would think so since they are transformed Sims and you could always change into their home) and if toads get created by witches that cast this autonomous – I can’t tell. I did meet a toad in town though that my witch had nothing to do with. Toads can also be added to town with testingcheats. I did not play with werewolves very long. 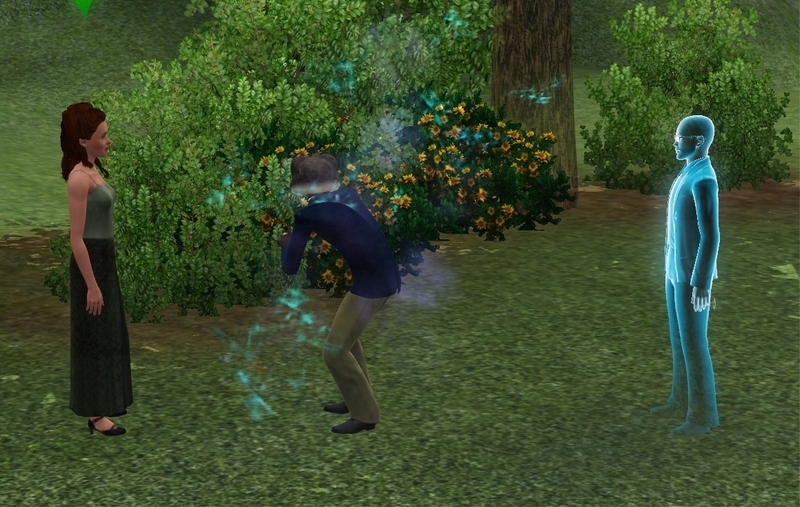 Werewolves come in two forms which both can be defined in CAS. 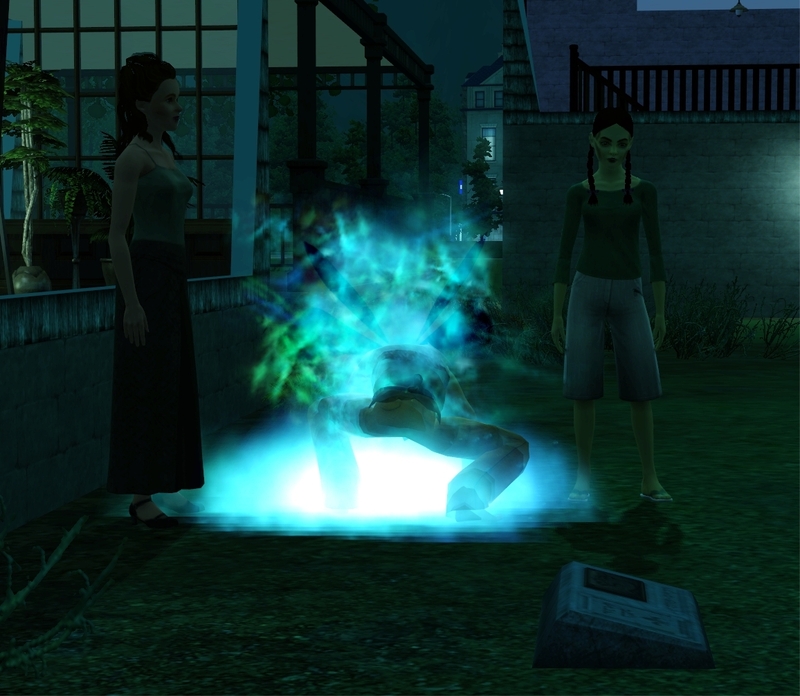 Ingame you can switch between their forms at will unless it’s full moon – then they are stuck as werewolves. I didn’t even look at any vampires. 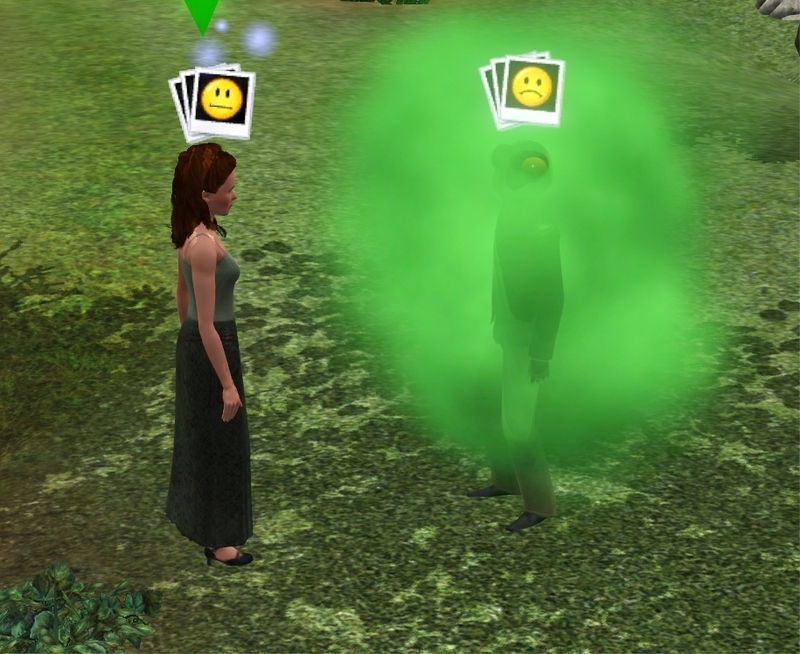 Theres a new elixir that makes them immune to the sun and also a new lifetime reward, new vampire-specific social interactions and you can create them in CAS now. That’s all that’s new. You don’t need Late Night to play them and if you have Late Night and don’t want to buy Supernatural, they will be ‘upgraded’ to the new kind. So whether you have Late Night or Supernatural or both, there’s one kind of vampire. 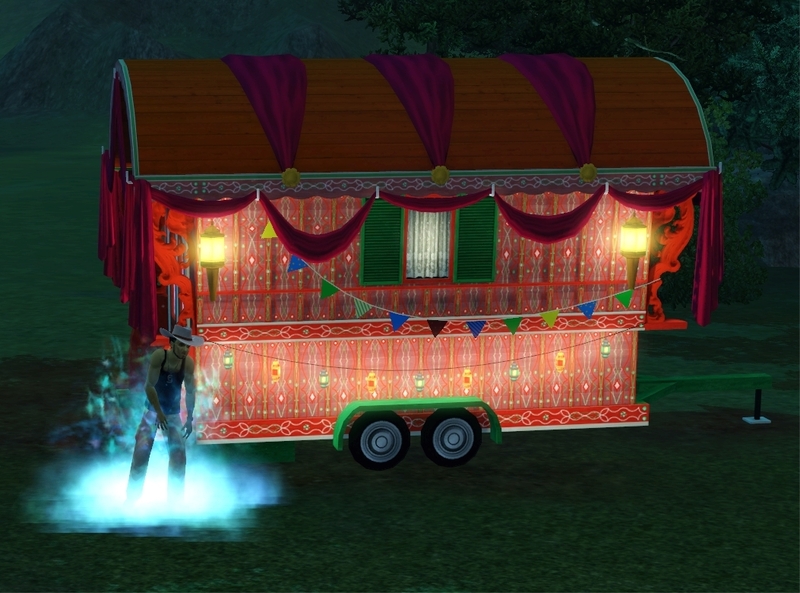 The tragic clown also makes a comeback – not as a supernatural but there’s a new elixir that turns a Sim into the tragic clown. 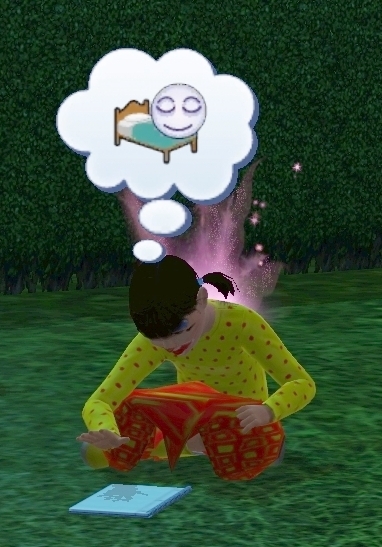 A sim that’s around the tragic clown will get very very sad. I don’t know how they transform back but I don’t think it’s permanent. 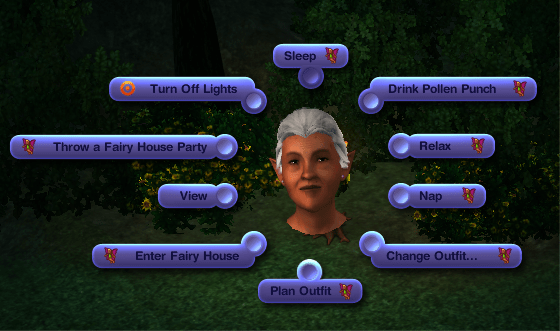 You can create them in CAS now and there are 4 new ones. Other than that, I didn’t try them. As to be expected, I didn’t like the Zombies at all and they were quickly getting on my nerves. First night (nope, not full moon) the first one came crawling out of the soil. 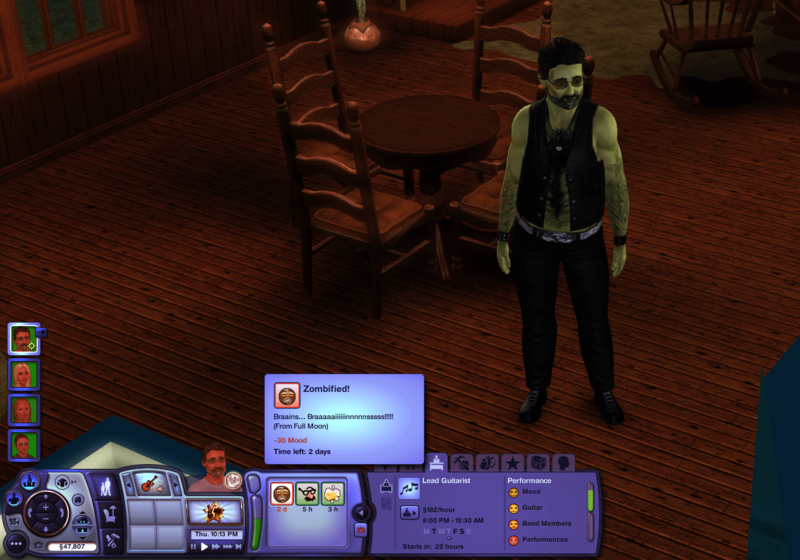 The Zombie started eating everything harvestable in that he found nearby and also tried a zombie attack on my Sim – which failed. The zombie was clinging his head, shook it and that was it for the moment – until the next attack. Next day it was a ful moon night and there were even more of them going round. Witch-Zombies, Fairy-Zombies and a mom with her toddler in her arm (not a zombie) – everyone was there. 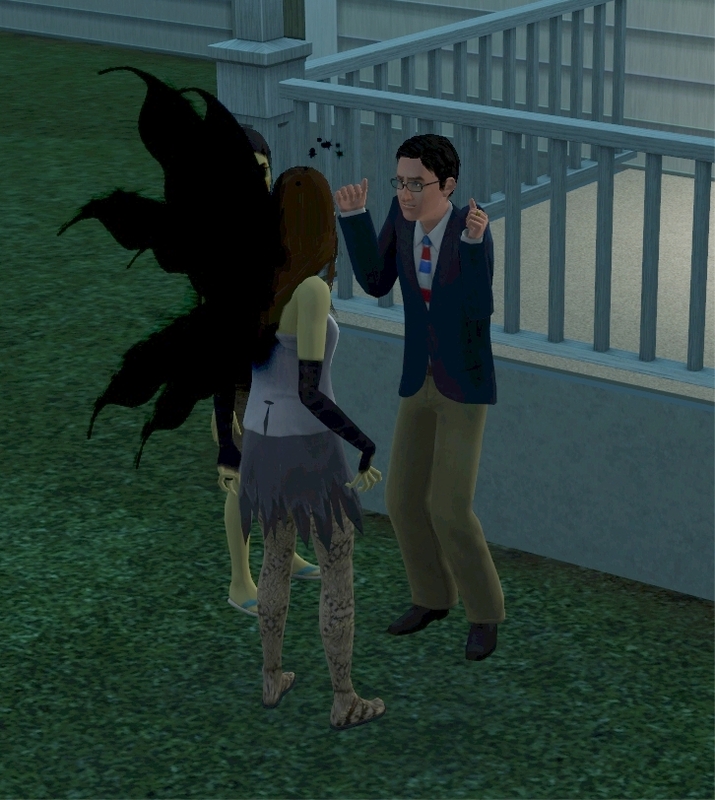 By the end of the evening, I had about 10 zombies standing around my house that all wanted to attack my Sim. Since they couldn’t get into my house they were standing outside, waving their arms – I can only fear the routing failure lags coming with that. 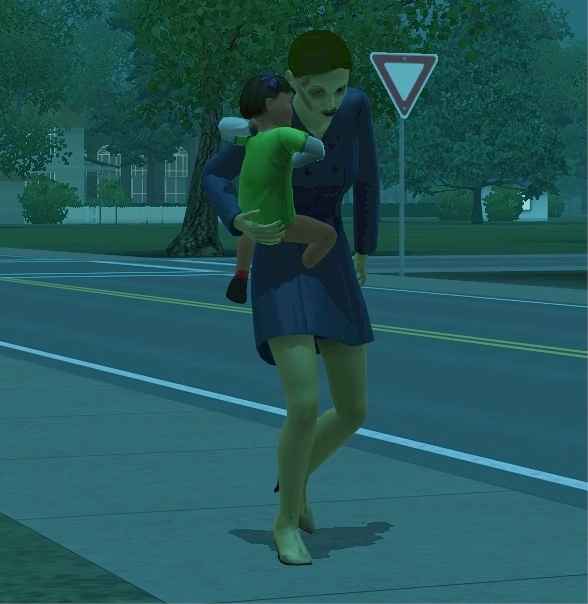 Others at the event actaully had a zombie bite their Sim which made them a zombie too. Didn’t happen for me. 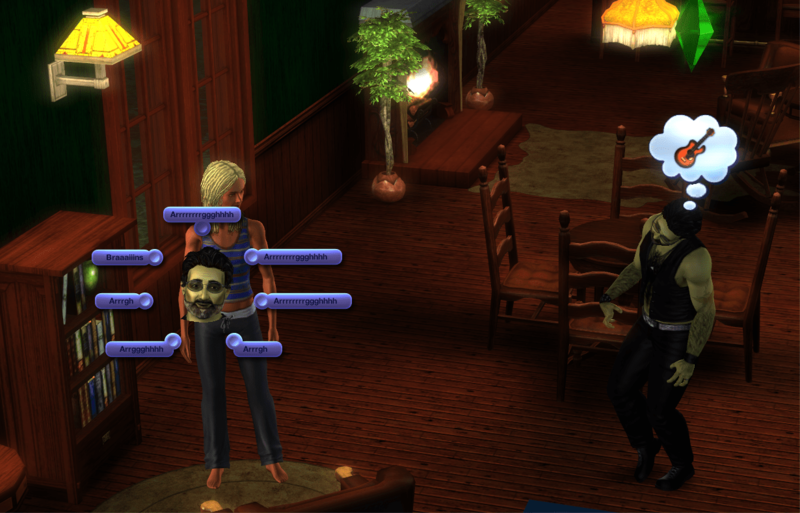 Even though I put all my Sims in the middle of the zombie horde, all that happened was the same as above. 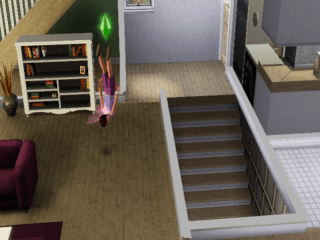 Zombified Sims can be played. He has a lot of interesting interactions (Arghh, Aaaargh, Brains..) and the according moodlets. Unfortunatly I also saw zombies in bright daylight and fixing the lunar cycle to new moon also did not help in the least so I asked Ben Bell about it in the presentation: Do we have a way to turn them off (pretty pretty pretty please).